We welcome you to browse the following links. Each link represents items which we believe may be of interest to you. SBCNA has partnered with Barnes and Noble's online store such that if you purchase items from them by following the link, our organization receives a small commission. We appreciate your business and any other contributions you make to our organization. Other items may offer no commission and are listed here for your convenience. 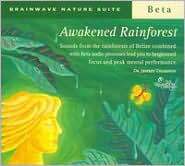 Neurotherapy, sometimes called EEG biofeedback and/or neurobiofeedback involves techniques designed to manipulate brain waves through non-invasive means and are used as treatment for a variety of psychological and medical disorders. 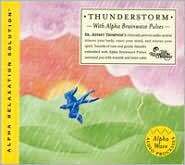 The disorders covered include ADHD, mood regulation, addiction, pain, sleep disorders, and traumatic brain injury. This book introduces specific techniques, related equipment and necessary training for the clinical practitioner. Sections focus on treatment for specific disorders and which individual techniques can be used to treat the same disorder andexamples of application and the evidence base for use are described. This book, presented in full color for easy reading, is highly recommended for students and healthcare professionals who want to integrate neurofeedback (EEG Biofeedback) and quantitative EEG (QEEG) into their treatment options for patients and clients. The authors have over 30 years of combined experience and offer an easily read, comprehensive historical and clinical perspective. Topics include brain anatomy and physiology, models of disorders, basic electronics necessary to understand the recording process, learning/behavior theory, how to create treatment protocols, and how to evaluate clinical progress. The book also devotes a chapter to the history and clinical understanding of audio-visual entrainment. About The Authors: Richard Soutar, PhD has been involved in neurofeedback for 20 years, is the director of New Mind Neurofeedback Center in Atlanta, Georgia, and is actively conducting workshops and mentoring new practitioners interested in BCIA certification. He is author of the New Mind Webcourse, the Creator of the New Mind Maps Database Analysis System, and author of several books in the field of neurofeedback. Robert Longo, MRC, LPC, NCC, BCN is Board Certified in neurofeedback and practices in North Carolina. Rob works with youth and adults and specializes in working with youth who have emotional and behavioral problems. 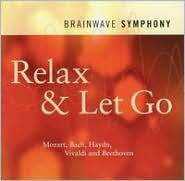 The exercises on these CD's combine the science of two well- researched treatments: mindfulness meditation and biofeedback. Mindfulness-based meditation helps create the space for change to be possible. 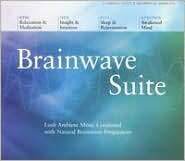 Biofeedback provides the avenue for modification through self-regulation. On your journey you will be guided through specific methods to help you quiet your mind, find greater clarity, discover the wisdom you have gained through your life experiences, and harness your own healing power. You will be instructed in simple breathing techniques that will help you navigate the process of relaxation and learn how to bring your body back to a state of balance. Biofeedback Mastery is a laboratory manual for training students and staff in all the major biofeedback modalities. Each unit teaches instrumentation and clinical skill fundamentals through intuitive and well-illustrated exercises. This manual is an indispensable resource for educators, students, and clinicians. &#151;Fred Shaffer, Ph.D., Professor of Psychology, Truman State University. Get the tools to provide more effective treatment for the neurobehaviorally disordered TBI patient! As traditional treatment success rates for many persons with traumatic brain injury (TBI) are proving less than effective, clinicians search for other therapies that may be more productive. Alternate Therapies in the Treatment of Brain Injury and Neurobehavioral Disorders: A Practical Guide discusses at length various nontraditional treatment approaches such as music therapy, art therapy, EEG biofeedback, and others that may provide additional help for the neurobehaviorally disordered TBI patient. This text provides a practical, in-depth overview of a range of nontraditional interventions and therapies. Each treatment is extensively discussed with explanations on how it can be effectively applied in rehabilitation programs. Models, case samples, contacts, and lists of training programs and professional organizations are given for each therapeutic modality. Each chapter has clear, illustrative drawings, tables, and charts, as well as comprehensive references for further research. This book is a comprehensive source for nontraditional therapies essential for physicians; neuropsychologists; psychiatrists; rehabilitation specialists; hospital directors, administrators, and TBI professionals. Bio-Guided Music Therapy explores the clinical integration of music and biofeedback, providing the practitioner with a rationale, historical context and detailed step-by-step instructions for implementing real-time physiological data driven music therapy. This practical guide introduces the fundamental principles of biofeedback and explores the use of music therapy interventions within the context of achieving skills in self-regulation of physiological response. This book looks at the primary modalities of biofeedback, in conjunction with the assignment of digitally sampled musical voices to specific body functions. 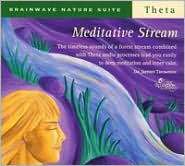 Music therapy interventions covered include guided imagery to music, toning, mantra meditation, drumming and improvisation. 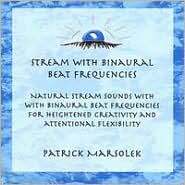 This book clearly demonstrates how these techniques can be successfully applied to the treatment of stress, high blood pressure, back pain, insomnia, migraine, neuromuscular deficiencies and depression, as well as being an effective therapy for clients with autism spectrum disorders and attention deficit disorder. Instructive and accessible, this book will prove an essential resource for students and practitioners of music therapy, biofeedback practitioners, social workers, psychologists and healing arts professionals. 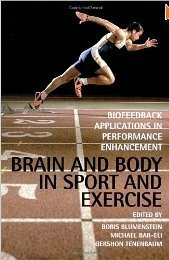 A thorough, readable primer for the practitioner and student, detailing case studies on the art and science of biofeedback and neurofeedback in practice. Innovative Psychotherapy Techniques in Child and Adolescent Therapy Innovative Psychotherapy Techniques in Child and Adolescent Therapy, Second Edition. * Focusing as a therapeutic technique with children and adolescents. These techniques cut across diagnostic categories and theoretical orientations and can be integrated within all therapeutic styles. Erik Peper is an internationally known expert on holistic health, stress management, and biofeedback. He received his BA from Harvard University in 1968 and his PhD in psychology from Union Graduate Institute in 1975. Since 1976 he has taught at San Francisco State University (SFSU), where he was instrumental in establishing the Institute for Holistic Health Studies, the first holistic health program at a public university in the U.S. Dr. Peper is president of the Biofeedback Foundation of Europe, former president of the Association for Applied Psychophysiology and Biofeedback and of the Biofeedback Society of California, and was the sports psychologist for the U.S. Olympic Gymnastic Team for four years. He received a State of California Governor's Employee Safety Award in 2004 for his contributions to improving workplace health for computer users. Dr. Peper lectures and teaches frequently all over the world and runs a biofeedback practice at BiofeedbackHealth in Berkeley, California. A recognized expert on stress management and workplace health and the author of numerous books and articles, he has been the editor of Psychophysiology Today since 2004 and has been featured on ABCNews.com and in GQ, Glamour, Men's Health, the San Francisco Chronicle, Shape, and Women's Health. Inna Z. Khazan,NOOK Book (eBook), Edition: 1, English-language edition,Pub by Wiley, John & Sons, Inc.
Dr. Russell A Hunter, Psy.D.,NOOK Book (eBook), English-language edition,Pub by Dr. Russell A Hunter, Psy.D. Robert W. Hill Ph.D., Eduardo Castro,NOOK Book (eBook), English-language edition,Pub by Hampton Roads Publishing Company, Inc. Fully revised second edtion of highly successful reference work which offers clinical researchers and practitioners, neuropsychologists and neuroscientists a comprehensive overview of quantitative EEG and neurofeedback as methods for analyzing brain function. Dr. Clare Albright has taken what can often be a complex subject-neurofeedback- and described it in a way that not only makes it easy for anyone to understand, but shows you how you can use brain biofeedback to make ADD/ADHD a thing of the past. Sebern F. Fisher,Hardcover, English-language edition,Pub by Norton, W. W. & Company, Inc.
Therapists have longed recognized the role of brain chemistry in mental illness, but new thinking reveals that brain circuitryundefinedits very rhythmic oscillationsundefinedplays an equally critical role in determining whether we function from a core position of regulation and emotional stability, or one of dysregulation and volatility. Indeed, how we are wired, and the very frequencies at which our brain operates, largely dictates how we behave in the world. Technical Foundations of Neurofeedback provides, for the first time, an authoritative and complete account of the scientific and technical basis of EEG biofeedback. Beginning with the physiological origins of EEG rhythms, Collura describes the basis of measuring brain activity from the scalp and how brain rhythms reflect key brain regulatory processes. He then develops the theory as well as the practice of measuring, processing, and feeding back brain activity information for biofeedback training. Combining both a "top down" and a "bottom up" approach, Collura describes the core scientific principles, as well as current clinical experience and practical aspects of neurofeedback assessment and treatment therapy. Whether the reader has a technical need to understand neurofeedback, is a current or future neurofeedback practitioner, or only wants to understand the scientific basis of this important new field, this concise and authoritative book will be a key source of information. Surveying the work of neurofeedback pioneers, Larsen explains the techniques and advantages of different neurofeedback methods--from the LENS technique and HEG to Z-score training and Slow Cortical Potentials. He reveals evidence of neuroplasticity--the brain’s ability to grow new neuronsundefinedand shows how neurofeedback can nourish the aging brain and help treat degenerative conditions such as Alzheimer’s and strokes. 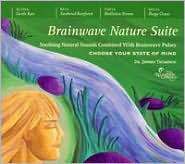 Examining the different types of brain waves, he shows how to recognize our own dominant brainwave range and thus learn to exercise control over our mental states. 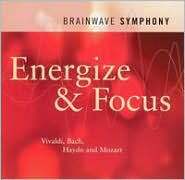 He explains how to combine neurofeedback with breathwork, mindfulness, meditation, and attention-control exercises such as Open Focus. 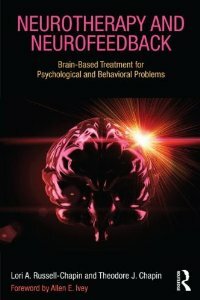 Sharing successful and almost miraculous case studies of neurofeedback patients from a broad range of backgrounds, including veterans and neglected children, this book shows how we can nurture our intimate relationship with the brain, improving emotional, cognitive, and creative flexibility as well as mental health. This is the first atlas and concise textbook on topographic brain mapping of EEG and evoked potentials. The atlas describes in an easily understandable way history, methodology, data acquisition and signal analysis, storing of data, and findings of mapping in normals and neurological and psychiatric diseases. 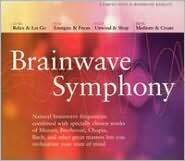 A chapter is de- voted to psychopharmacology and advanced techniques such as dipole source estimation. The atlas is meant to help electroencephalographers and technicians to understand EEG and evoked potential maps in their daily diagnostic work. Brain Mapping: The Disorders is the first comprehensive text to describe the uses of the latest brain mapping technologies in the evaluation of patients with neurological, neurosurgical and psychiatric disorders. With contributions from the leading figures in the field, this heavily illustrated text is organized by disorders of brain systems, with specific examples of how one should use current neuroimaging techniques to evaluate patients with specific cerebral disorders. Comprehensive in scope, the text discusses patient evaluations using the wide range of modern magnetic resonance imaging techniques, positron emission tomography, single photon emission computed tomography, optical intrinsic signal imaging, electroencephalography, magnetoencephalography, and transcranial magnetic stimulation. The third in this brain mapping series, Brain Mapping: The Disorders, is the ultimate text for anyone interested in the use of brain mapping techniques to study patients with disorders of the central nervous system. LORETA is a cutting edge, freely available brain imaging software that provides 3-dimensional brain images based on EEG recordings. Dr. Rex Cannon, a highly regarded LORETA specialist and researcher, provides EEG practitioners with this essential and much needed "missing manual" for LORETA. The book starts with an excellent introduction to LORETA and then guides readers through the basic operations of the LORETA and sLORETA software interface and analysis functions. The following chapters then explore clinical applications of LORETA for specific disorders, such as depression and ADHD, LORETA neurofeedback, Brodmann areas, ethical considerations, and more. Presented in a beautiful color, large format, this is the first known published book for the increasingly popular LORETA software and will no doubt become the essential LORETA reference text. This authoritative volume provides an overview of basic and advanced techniques used in quantitative EEG (qEEG) analysis. 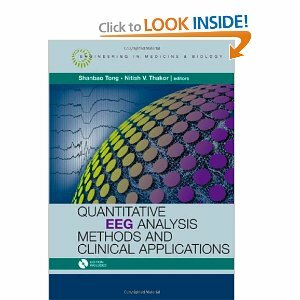 The book provides a wide range of mathematical tools used in qEEG, from single channel discriptors to the interactions among multi-channel EEG analysis. Moreover, you find coverage of the latest and most popular application in the field, including mental and neurological disease detection/monitoring, physiological and cognitive phenomena research, and fMRI. Anatomy of an Epidemic challenges readers to think through that question themselves. First, Whitaker investigates what is known today about the biological causes of mental disorders. Do psychiatric medications fix “chemical imbalances” in the brain, or do they, in fact, create them? Researchers spent decades studying that question, and by the late 1980s, they had their answer. Readers will be startledundefinedand dismayedundefinedto discover what was reported in the scientific journals. By the end of this review of the outcomes literature, readers are certain to have a haunting question of their own: Why have the results from these long-term studiesundefinedall of which point to the same startling conclusionundefinedbeen kept from the public? In this dynamic, hopeful, and insightful book, Maggie Greenwood-Robinson shows us the natural methods we should use now to keep our brains sharp and our memories intact through our later years. Drawing on the very latest research on the brain, she demonstrates that simple changes to nutrition and mental outlook can greatly reduce the likelihood of developing age-related disorders, such as Alzheimer's disease, depression, memory loss, and a host of other problems related to mind and mood. Alzheimer's disease is a relentless affliction of the brain. It destroys memory, undermines personality, and ultimately causes or accelerates death. 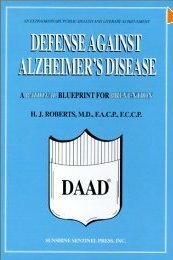 No specific or effective treatment has been found for this new and escalating degenerative social and economic scourge of the 20th Century.The pessimism extends to prevention...largely because the cause of Alzheimer's disease has not been clearly defined. It involves more than "aging", heredity, or exposure to aluminum. We can do little about some of the risk factors Dr. Roberts names--such as being female or being tall--but he provides lengthy lists of measures we CAN take to minimize our exposure to those things he believes can increase our chances of getting the disease. These include diet modification, tobacco, and remaining physically and mentally active in middle age. Particular emphasis is placed on the responsibility of physicians to "Think Alzheimers Disease! "...even if gross memory loss is not yet present, since early detection can maximize preventive efforts. A. P. Simopoulos, N. G. Bazan (Editor),Hardcover,Series: World Review of Nutrition and Dietetics Series, English-language edition,Pub by Karger, S. Inc.
Dr. Thompson is recognized as a worldwide expert in the field of acoustic pacing frequencies incorporated into musical sound tracks. 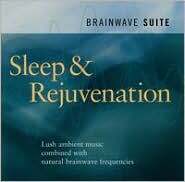 A consummate musician and composer in his own right, he has established a method for using modulated sound-pulses for changing states of consciousness resulting in optimal "Mind-Body" healing. 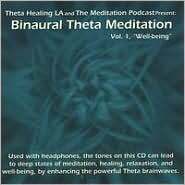 In the 1990's, Dr. Thompson's method of using sound to heal was chosen as one of the top alternative healing modalities in the USA. His work was funded through the Center for the Study of Complementary and Alternative Therapies (CSCAT). Assorted Engraved Gourd from Argentina are harvested and prepared in the traditional fashion, naturally treated and individually decorated on the outside by a craftsman. Both on the inside and on the outside the gourd may show dark brown or grey stains that characterize the plant. The finished gourd, being natural, will have its own unique characteristics. Himalayan Pink Sea Salt Fine Crystals are mined in the foothills of the Himalayas. This raw salt contains a balance of minerals and trace elements in their unprocessed, natural form. The perfect crystalline structure provides a flawless seasoning while supporting optimum health. Himalayan Pink Sea Salt is subjected to rigorous screening procedures to monitor suspected contaminants.